Can the Dandelion Flower That Grows in Your Lawn Actually Help with Your Gout? 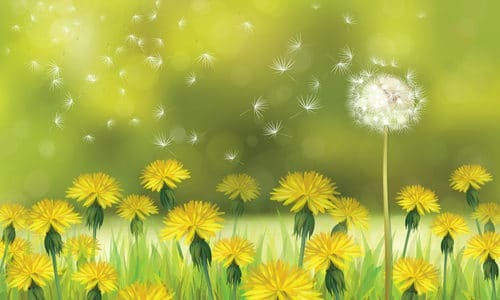 When you think of dandelion, you think of that annoying weed that takes over in your lawn, garden and even appears in between the cracks of the sidewalk. But did you know that it is also an excellent food and herbal medicine that could also help treat your gout? Bet you didn’t! Actually dandelion root is used by Chinese and Ayurvedic medicine to treat gout! This flowering plant is rich in vitamins C, B complex and D. It’s also high in beta-carotene (more than carrots) which then gets converted into vitamin A! Did you also know that dandelion contains more protein than spinach? It also contains magnesium, potassium, zinc, fiber, biotin, iron and phosphorus. Dandelion can help you with your digestion since it acts as a mild laxative and stimulates your appetite, keeping that good bacteria in your gut active. Dandelion helps your liver by removing toxins; helps regulate insulin levels in your blood; lowers cholesterol and high blood pressure, boosts immune system and even increases bile production helping with gallbladder problems. In Germany, the department similar to the FDA in the United States has approved dandelion for the treatment of urinary tract infections. A more interest to gout sufferers would be that dandelion acts like a diuretic so it increases urination removing excess uric acid from the bloodstream. In addition, it helps the kidneys clear out waste, salts and excess water. As a matter of fact, dandelion root tea has helped some people actually avoid surgery for painful kidney stones! When suffering during and after a gout attack, dandelion helps reduce inflammation relieving pain and swelling since it contains essential fatty acids and phytonutrients. You can find dandelion tea in most health stores online and offline, gout sufferers can drink dandelion tea twice a day to keep the kidneys working properly and help flush urates from your body. You can eat dandelion leaves in salads or cooked in other dishes since it is full of vitamins, minerals and other nutrients especially vitamin C which helps lower uric acid levels. If you actually want to pick dandelions off your lawn that is not the best way. Instead pick them from a mountain or abandoned lot. You can also gather the seeds from the puff balls you see each summer. You can also consume dandelion in the form of a capsule and tinctures. Dandelion roots, leaves and flowers are all edible. You can also consume it as a tea as well. If you have an allergic reaction to dandelion you definitely should avoid it. 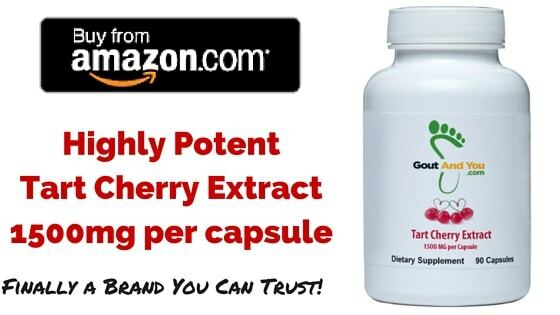 Finally, you can also find Dandelion Extract inside my proprietary blend which is sold as a dietary supplement on Amazon called NutriGout. Do consult with your doctor before adding dandelion in your diet. You can’t really improve the taste but adding it in pizza can help remove some of the bitterness, plus try adding it with boiled beets, sautéed greens that include dandelion, goat cheese dressed with extra virgin olive oil and some balsamic vinegar. I personally add it in my salads and enjoy some of the bitter taste that it offers. Remember there’s always the dandelion extract you can take as well if you really don’t like the taste. Takes some time, but if you continue a while you start devoloping a kind of pleasure by esting it. I eat it raw, taking the leaves dirictly from the dandalion. Fx as a starter. 2-3 leaves. It will do good!